Lightweight and packable rain protection for backpacks. 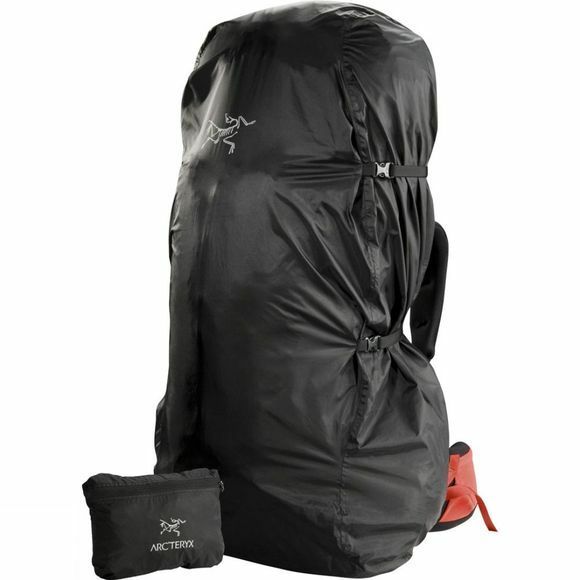 The Arc'teryx Pack Shelter M features contoured shaping with an elastic drawcord closure for a secure fit, compression straps to reduce wind drag, easy access to top of pack while cover is engaged, and a stow pocket. This size fits most packs with a cpacity up to 30 litres.